Royal Panda: 10 No Deposit Bonus Spins on Starburst for all new players and a double money bonus worth up to £100 when you make your first deposit! Royal Panda casino has attracted great praise and loyal players for its cool looking and fast loading website, attractive bonus packages and superb customer service. Visit Royal Panda Casino Now! *Strictly 18+ T&Cs apply. Casino bonus: min. £10, max. £100. Bonus/free spins winnings wagering requirement: x35. Max. bonus bet £5. In no other industry would it be quite normal to feature a crowned Panda as your mascot! The online casino industry is always pushing the boundaries and we love that Royal Panda has fully embraced that with their cool and quirky mobile casino! The slick mobile website design is accessible to iPhone and Android users. Hooray! Simply visit the Royal Panda website on your browser and log in to start enjoying their many games. They’ve thankfully retained most of their games and have the full complement of NetEnt Touch titles such as Big Bang, Bloodsuckers, Piggy Riches, as well as Microgaming classics like Thunderstruck II and Mega Moolah. Royal Panda is licensed in the UK and Malta so must adhere to strict regulations regarding the security of their players and fairness of the games they offer. One of the stipulations is that games are routinely tested to ensure fair and unbiased results. You can also rely on Microgaming and NetEnt to deliver brilliant but fair games. Deposit using Visa, MasterCard, Neteller, Skrill or Paysafe Card. We love the choice that Royal Panda offers us. Everything is right there in one handy casino. Whether you want slots, roulette, blackjack, video poker or live casino games, Royal Panda has it all! The clear cut design is easy to manage even on a smaller screen and you can simply scroll through the games to find what you are looking for. They’ve also carried across the stellar customer service and excellent security too so there are no issues on that front! 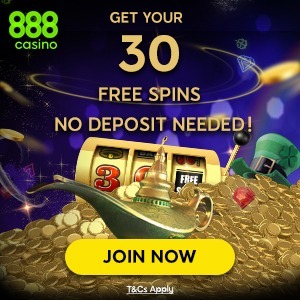 Royal Panda Mobile Casino operates and publishes a comprehensive responsible gambling policy, including limit setting and self-exclusion options with a useful list of helpful organisations. Royal Panda is regulated by the Gambling Commission (GC) of the United Kingdom and has been awarded the following operator license: 000-039221-R-319351-002. As a new player, you are entitled to 10 Bonus Spins on Starburst PLUS a 100% Match Bonus on your first deposit. This is a great way to kick off your session with a boosted bankroll. Start your Royal Panda adventure the right way and follow our link below! Please note – the usual wagering requirements apply and you must be a new player to qualify. See terms and conditions for details. *Strictly 18+ T&Cs apply. Casino bonus: min. £10, max. £100. Bonus/spins winnings wagering requirement: x35. Max. bonus bet £5. Royal Panda is really fun and fresh. We are happy to recommend it and glad to see it available to mobile players!